Some titles may be out of print on paper, but they are available as e-books and audiobooks, and/or in the second-hand market. 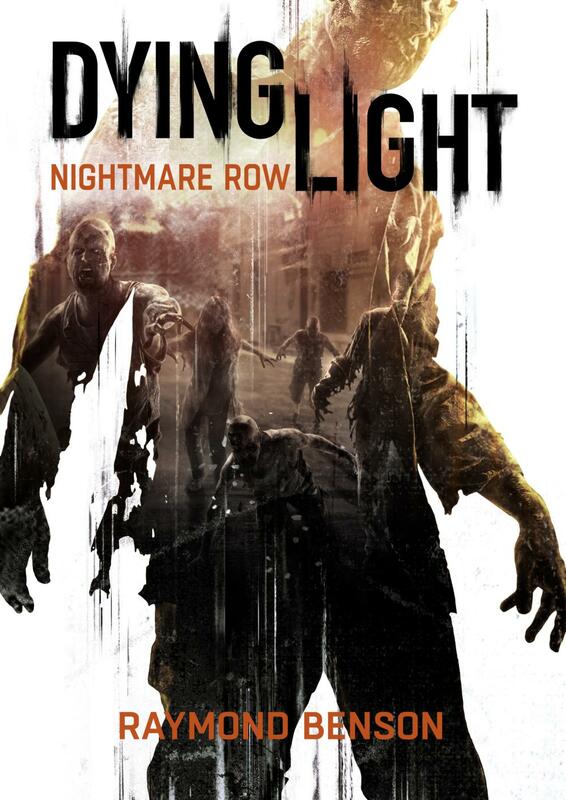 The official tie-in prequel to Techland’s zombie videogame, “Dying Light,” Dying Light—Nightmare Row was originally published in 2015 only in Polish. The English edition has just been published in 2016! The story is seen through the eyes of Mel, a teenage American girl, who is caught in Harran when the Infected Outbreak occurs. Alone in a hostile, violent foreign city, Mel must find not only her missing younger brother, but also an antidote to the virus with which she is infected. The official, all-original, all-out thrilling prequel to the new videogame “Hitman: Absolution.” Since the devastating conclusion of “Hitman: Blood Money,” Agent 47 has been MIA. Now fans awaiting the return of the blockbuster videogame and film phenomenon can pinpoint the location of the world’s most brutal and effective killer-for-hire before he reemerges in Hitman: Absolution. When the Agency lures him back with a mission that will require every last ounce of his stealth, strength, and undercover tactics, they grossly underestimate the silent assassin’s own agenda. Because this time, Agent 47 isn’t just going to bite the hand that feeds him. He’s going to tear it off and annihilate anyone who stands in his way. Written by John Milius and Raymond Benson, this “prequel” novel to THQ’s spectacular videogame is a stand-alone story; readers need not be familiar with the game to enjoy it. Taking place in the years 2025-2026, Homefront is the tale of an America in the depths of an economic depression, leaving her vulnerable to an attack from North Korea. Follow Ben Walker, the Voice of Freedom, on his epic journey across country as war rages in our city streets and suburban neighborhoods. Solid Snake returns in the sequel to the popular novel based on the best-selling videogame—and he is joined by a new young champion named Raiden… The President of the United States is being held hostage by terrorists in the Big Shell, a vast environmental clean-up facility located in New York harbor. Calling themselves the Sons of Liberty, the terror group responsible for the crisis consists of several professional killers with extraordinary abilities—and the leader is rumored to be none other than Solid Snake himself! Highly skilled former FOXHOUND agent Solid Snake is called out of retirement to do what he does best—neutralize a crisis of epic proportions. A deadly team of renegade FOXHOUND operatives has taken over the nuclear disposal facility on Shadow Moses Island in the icy Aleutians. If their demands aren’t met, a powerful, top-secret weapon will be unleashed upon the world. Solid Snake’s mission is to breach the heavily fortified base to rescue hostages and to destroy the superweapon. His only obstacles are brainwashed commandos, DNA-enhanced troops, and six first-rate killers with extraordinary abilities. But nothing is as it seems. Somebody is hiding something. Somebody has a hidden agenda. And somebody wants Snake to learn secrets about his dark past—secrets that would shake any man to his core! The sequel to the New York Times best-selling book, Raymond writes as “David Michaels” again with a brand new adventure featuring Sam Fisher. This time around, Fisher is sent to search for the various leaders of The Shop, the nefarious arms dealing organization that he encountered in the first novel. As the trail takes him from the Ukraine and Russia to Hong Kong and China—Fisher discovers a diabolical plot that leads him back to the States in a race against time. Splinter Cell is about an American operative named Sam Fisher who works for “Third Echelon,” a secret branch of the National Security Agency. Fisher, like James Bond, works alone behind enemy lines—gathering intelligence and stopping bad guys. In true Clancy fashion, the book(s) will feature topical plots involving tomorrow’s technology in today’s political climate. The first Splinter Cell book takes place in the Middle East—much of it in Iraq! Bottom line—if you liked Raymond’s Bond novels, you’ll like Splinter Cell.